Treczoks Cody, Once this kite is set up it is a belting lifter and quite stable. 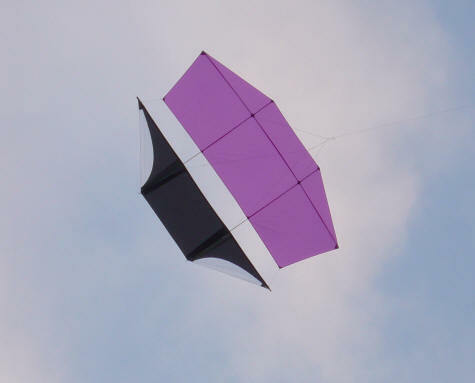 I use it as my secondary/display kite. 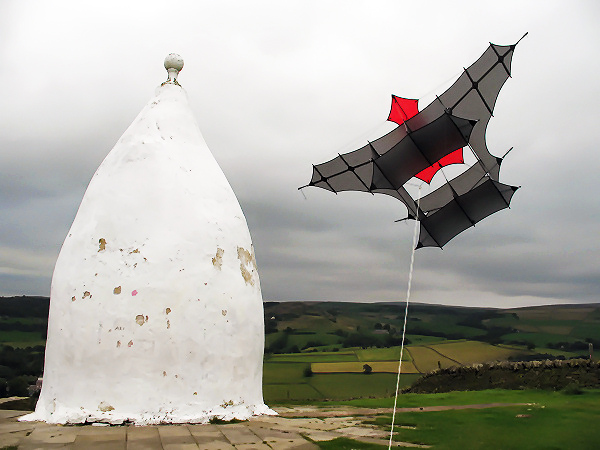 There are, as you expect, many kites that fit the bill to lift a small payload such as a camera and rig. Having flown kites as a kid I was a little uncertain as to which kite I should try as I didn't have much confidence in keeping one aloft!. Like many things I was guided by others experiences, in my case that was James Gentles. At the time I did not know him but his accounts of KAP formed the basis of my initial kite choice. So much so I had to track my first proper KAP kite down in the States. It was a gamble because as any kite flyer will tell you you don't get on with all kites. So the Delta Conyne was my choice and even though I went on to try many others it remains my favourite. You will see that some are framed and others are soft kites. Some form of wind speed indicator is a good bit of kit to have. The one pictured is my own preference, there are many on the market including apps that you can put on your smartphone. Sunoak Delta Conyne, I have two of these kites 9' and 14'. Originally purchased from Into the Wind but now you can get them direct from Sunoak. Tip: Don't use the outboard tails in high winds better off using inboard as shown. The drag can and will cause spar failure eventually. My main KAP kite. 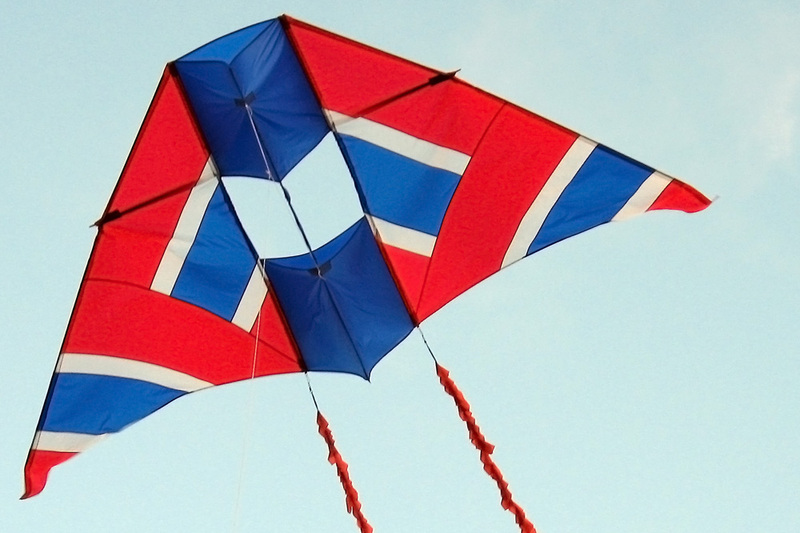 Double Dopero, a great low wind speed kite.